As the popularity of drones grows, the issue of their safe use is becoming more and more acute. In December, operations at Gatwick Airport in London were disrupted for several days in row due to civilian drones being spotted above its grounds. 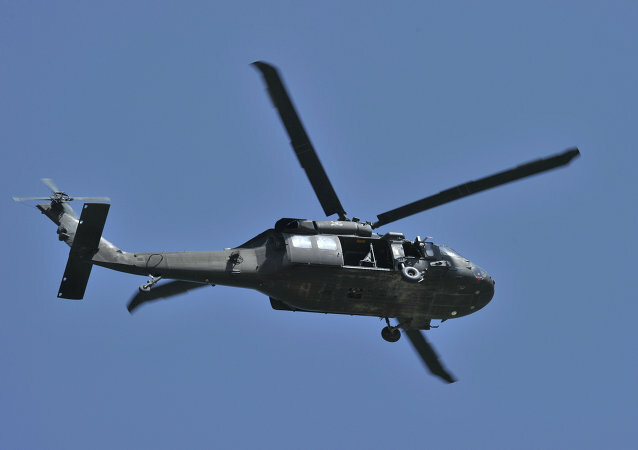 BEIJING (Sputnik) - Six people are still missing after the crash of a Black Hawk medical evacuation helicopter near Taiwan's shore, the Taiwanese Interior Ministry said in a statement. 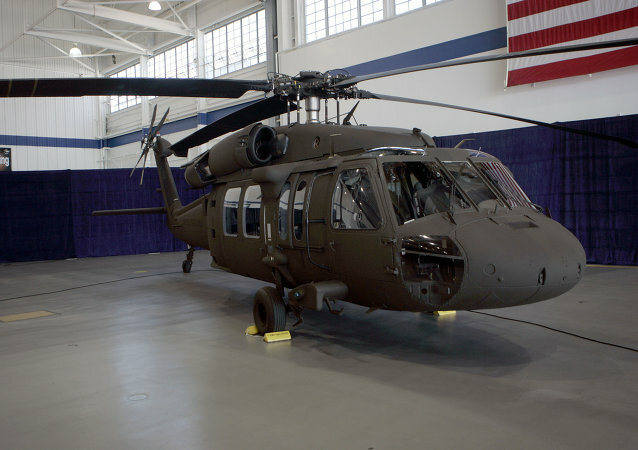 The US Army has awarded Parker Hannifin Corporation an almost $96 million contract to overhaul and upgrade the UH-60 Black Hawk helicopter’s engineering system, according to the Pentagon. General Electric has won a five year maintenance contract to service the turboshaft engines powering the US Army’s Sikorsky Black Hawk and Apache ground-support combat helicopters, the US Department of Defense announced. The Sikorsky Aircraft Corporation, a unit of Lockheed Martin, has received an almost $150 million US Army contract to sell six UH-60M Black Hawk helicopters to Taiwan, the Department of Defense announced. Greek Prime Minister Alexis Tsipras held a phone conversation with Turkish President Recep Tayyip Erdogan over the fate of eight alleged military coup supporters, who asked for a political asylum in Greece, Athens News Agency reported Sunday, citing a source. Greece returned to Turkey on Sunday the helicopter hijacked by suspected Turkish coup supporters, local media reported. The Greek authorities will return the helicopter used by suspected Turkish coup supporters to flee to Greece but will apply general procedure to the detained passengers who intend to ask for asylum in the country, Greek government's spokeswoman Olga Gerovasili said on Saturday. Latvian National Armed Forces said that US Armed Forces will transfer five Black Hawk helicopters to a Latvian airbase. The United States has delivered eight UH-60A Blackhawk helicopters to Jordan to help its coalition partner secure its border from Daesh terrorists, the US Embassy in Jordan announced on Thursday. 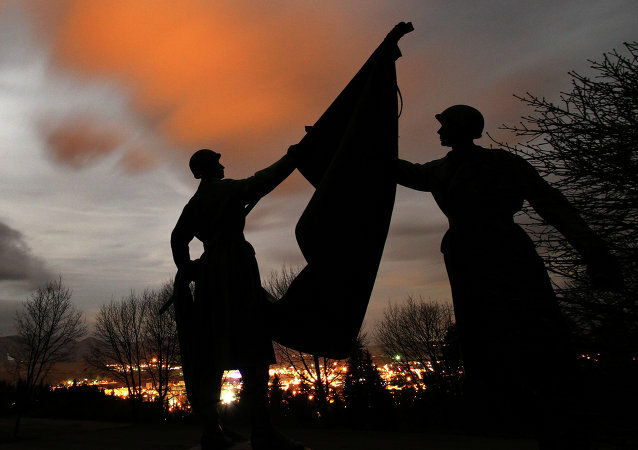 Jozef Žarnovičan, chairman of the Association of Slovak troops, spoke to Sputnik about the Slovak army and how NATO has changed the Slovak armed forces’ focus from defending its own country and interests. Already the largest military contractor in the world, Lockheed Martin is about to become even larger, purchasing Sikorsky Aircraft for $9 billion, raising concerns about a corporate monopoly. US aerospace giant United Technologies Corp said that it intends to sell or spin off its Sikorsky helicopter unit by the third quarter of this year. Two Blackhawk helicopters were deployed to South Texas after an incident with fire shot at US helicopter near Mexico border. A helicopter crash in Saudi Arabia has killed four crew members.